Give our Bruno turning seats a spin. The Mobility Resource brings you award-winning swivel seating from Bruno, a leader in mobility products. 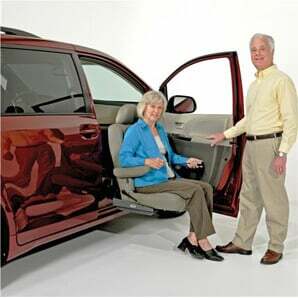 These fantastic turning seats help you into and out of the vehicle without the need for assistance from another person. 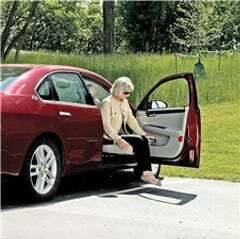 They also eliminate the need to climb or twist and turn your way into the vehicle’s seat. A complete line of swivel seating, the Valet series can be used with virtually any size vehicle, from cars to SUVs and pickup trucks. Choose the simplicity and reliability of the Bruno Valet or the individually programmed Valet Plus. The Valet Limited is ideal for those who need more headroom getting in, while the Valet LV is perfect for cars and lower-profile vehicles. No more climbing, twisting and turning to try to get into or out of higher vehicles. 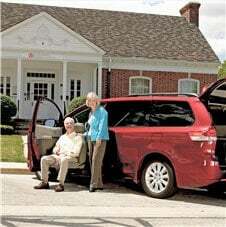 The Valet is the nation's most popular swivel seat for its simplicity, reliability and comfort. The vehicle seat is too high for me to climb up to. What can I do? 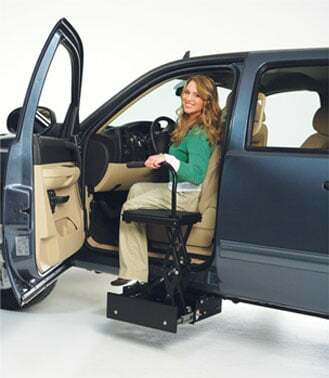 If I use a TAS to enter my vehicle, how do I get my scooter or wheelchair in? Are turning auto seats safe?